Javier Gonzales is a past Santa Fe County Commissioner, two-term State Democratic Chair, and university regent at New Mexico State University, where he is an also an alumnus who became the first in his family to graduate from college, and New Mexico Highlands University. An advocate for pro-immigrant cities, he has worked to expand Early Childhood Education and overseen major investments in our city’s parks, streets and quality of life while launching innovative programs to address public health, climate change, poverty and inclusivity. Mayor Gonzales is proud to lead the top New Mexico city in Film and Startup Employment. For over twenty years, Craig was a chief executive in local government – a City Manager in three cities and a senior executive at a regional planning council. 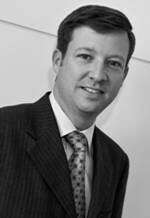 He was an executive in two privately held companies, and the Director of Consulting for an international association. In addition to running his own company, he is also a Senior Advisor with the Center for Governmental Studies at Northern Illinois University. Craig specializes in speaking to national and statewide audiences related to local government including the International City-County Management Association, American Planning Association, Government Finance Officers Association, State Municipal Leagues, County and Civic Associations. “If you always do what you’ve always done, you’ll always get what you’ve always gotten” …Unconventional thinking (and excellence) in government. In the eyes of many, creativity and risk‐taking don’t happen in government. Frequently, government is perceived as a rule‐bound, “we’ve always done it this way” place. In reality, innovation and visionary efforts abound—but are often unappreciated. This lively, interactive session will open your eyes, make you think, and challenge you to achieve excellence (and your goals) through unconventional thinking. With over twenty years of leadership experience in the United States Department of Transportation, the White House Office of Management and Budget, on Capitol Hill and in the private sector, Jim Ray possesses a keen understanding of the legal, regulatory, policy and business frameworks underpinning infrastructure and transportation policy, project development, public-private-partnerships (“PPP”) and other innovative delivery models. Jim currently serves as Secretary Elaine Chao’s Senior Adviser for Infrastructure at the United States Department of Transportation. In this capacity, Jim leads the Secretary’s infrastructure agenda across all modes of transportation, sits on the Department’s council on credit and finance, leads the Department’s policy leadership council and supports the Department’s interagency coordination efforts. This is an interactive session where Jim will talk about the Presidential Infrastructure Initiative and the current work the United States Department of Transportation is conducting. The audience will have an opportunity to discuss and ask questions about transportation infrastructure initiatives at the federal level. Building inclusive, healthy, functional, and productive communities is one of the greatest challenges facing New Mexico today. Geographically New Mexico is one of the largest states in the nation with one of the smallest populous……that makes infrastructure financing extremely challenging for all of us. This session talks about obstacles, opportunities, and bold new ideas for more effective infrastructure development and financing. The session will guide the audience to the many state and federal grant/loan programs with the agency experts presenting their programs and answering your tough questions. The experts from the New Mexico Municipal League and the Association of Counties give us their views on past, present, and future legislation and the impacts and/or potential implications these may have on local governments. In his leadership role at Spaceport America, Mr. Hicks brings experience supporting the space launch industry and deep roots in New Mexico. He is a graduate of Las Cruces High School and received a Bachelor of Science in Mechanical Engineering from New Mexico State University as well as an honorary selection to the Mechanical and Aerospace Engineering Academy at New Mexico State University. 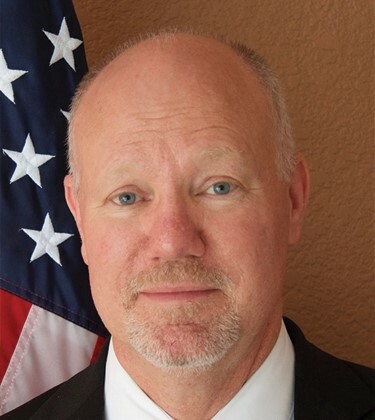 Before taking the position with Spaceport America, he spent 34 years with the U.S. Army White Sands Missile Range (WSMR), ultimately reaching the position as Deputy Executive Director. Dan Hicks has held the position of CEO of Spaceport America since October 2016. Spaceport America is the world’s first purpose built commercial spaceport. The facility is located on 18,000 acres of state land in a remote area of southern New Mexico. The unique location has several advantages over other states for launching into space, including great weather, high elevation, low population density, and 6,000 square miles of restricted airspace. Daniel Hicks, CEO of Spaceport America will speak about how the project was built, the current successes, and the exciting prospects for the future space industry in New Mexico.